Is it a fad? Why is spelt getting so much press? I don't know all the answers, but I hope what I do know can help if you need to cook with it too. The gluten in spelt grain is more easily digestible, and more quickly breaks down in water...or stomach acid! It's also more 'fragile' and spelt will seem a wetter grain to cook with - but leave it sticky and wet - it's going to give you a lighter, fluffier finish. My son's general food sensitivity load is lightened by using spelt instead of normal wheat, so we'll take any gains we can get. I love spelt myself. My mum has a fantastic wholemeal recipe that I shall make her post one day, but here's my everyday loaf, this has slightly larger holes because I have run out of ascorbic acid this week. Proper deep bread tin - worth hunting the internet! I line mine and lightly grease. Mill your 100g grain for 1 minute speed 9. Add the 400g water, sugar, yeast and ascorbic acid. Set for 2 minutes, 50 degrees. Turn the speed to 3 slowly to incorporate ingredients, and then turn down to speed 1. Leave this mix for a few minutes when finished - at least until it has started to bubble. Add the remaining ingredients, combine for 12 seconds speed 6. Knead for 2.5 minutes, interval setting, locked lid position. When finished - keep the mix in the thermomix bowl, and put it somewhere warm and draught free for 35-45 minutes. When finished, return to thermomix bowl and knead for 5 seconds, interval setting, locked lid position. Tip the mix out onto a lightly greased bench. Return the bowl to the base and whizz for 1 second speed 7 to get any extra mix off the blades, scrape out with a fine-edged spatula. Combine all the dough with your hands and knead gently into a bread loaf shape. Place in the bread tin. Cover the tin with a greased, flat tray. Leave it for 15 minutes in a warm location to start to rise. When the 15 minutes has finished, place in a cold oven - in the middle. Turn the oven to 190 degrees and set a timer for 40 minutes. It should be golden brown, and sound hollow when you knock it with your fist. When ready, I allow to cool for a few minutes in the tin, and then turn out quite quickly to a rack to cool. Nothing quite beats slathers of fresh butter and tomato and salt and pepper! Yummo. I really don't know what to call this dish - can I get away with just calling it Really Yummy and Easy Fish? Healthy but doesn't taste like it? You want a really healthy dinner, but want it to be easy, and not expensive or lots of weird ingredients... and so births this dish. A genuinely low effort 'Tuesday night dinner' or Good Friday fish meal that leaves you with lots of red sauce for some fresh gnocchi tomorrow night....or perhaps some pumpkin and sage ravioli? Place garlic in TM bowl and chop for 2 seconds speed 7. Add chili, onion, carrot, herbs and celery and chop for 5 seconds speed 5. Add EVOO and cook for 3.5 minutes, Varoma temperature speed 2. Add tomatoes, stock and water and blend for 5 seconds speed 7. Cook for 5 minutes, Varoma temperature speed 2. Meanwhile, wet a piece of baking paper, scrunch and place on top rack of Varoma. Place fish on paper and season. Put all the vegetables in a bowl and season - get your hands in and massage the veggies! When the TM is done, place the Varoma in place (with only the fish) and cook for 5 minutes Varoma temperature speed 2. The cooking time will vary according the the thickness of your fish. My thin pieces of barramundi took a total of 12 minutes - but thicker pieces would have been 17-20. When the fish is half cooked, place the seasoned vegetables in the bottom tray of the varoma and scatter the feta pieces over top. Cook for a further 5-8 minutes (depending on your fish), Varoma temperature, speed 2. 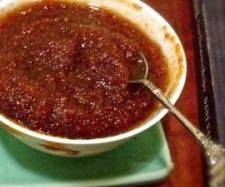 To serve - A bed of the vegetables with 2 large spoons of sauce, and then the fish with another spoon or two of the sauce. Extra black pepper and chili to taste. Okay, I am no pin up girl for Cake Decorating Australia, but I do like to express my creativity atop the odd cupcake. I need an instantly stiff icing with no weird ingredients. Actually, I sometimes need it to cater for multiple food allergies also. Is that too much to ask? So when I discover a recipe that not only makes buttercream quickly and easily, but can cater for gluten free, dairy free, low salicylate, egg free, nut free - I am one happy gal! So Rona from Domestic Diva Unleashed - here's to your genius! 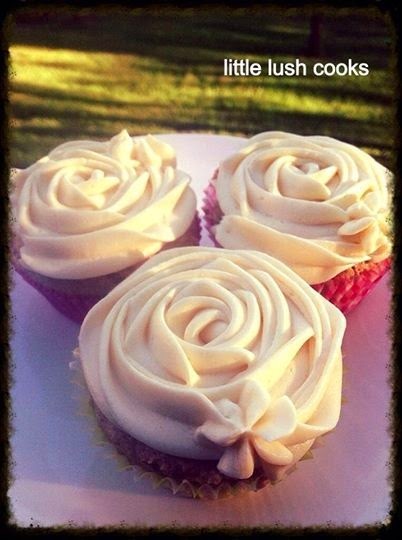 Below are a couple of recipes I have recently tried with two variations on the buttercream icing. I won't write out the whole recipe - please read it on Rona's site. I would love to credit this recipe, but cannot find where I took the original inspiration (it was originally a chocolate cake)and it has taken some twists and turns since! Grease and flour (sweet rice flour recommended or fine brown rice flour)12 muffin patties. Set your oven to 190 degrees celsius or 180 degrees for fan-forced. Weigh in both types of sugar and mill for 3 seconds speed 9. Add flour, psyllium, baking powder, and salt and combine for 12 seconds speed 5-6 (halfway between the two). Add the oil, citric juice, water and vanilla and mix for 30 seconds speed 5. Scrape down the sides and repeat for 12 seconds speed 5. Pour the thick mix into the muffin papers (3/4 full) and when all are poured out you can smooth the tops. Place gently into the oven halfway up. Check them at 25 minutes, they should be golden brown and spring back to touch. Give them five more minutes if needed. When cooked. Leave them in the oven with the door open for 20 minutes. Remove to a wire rack to cool. I mill the sugar for 1 minute speed 10 and then put the entire bowl in the refrigerator for 20 minutes. Make sure you wipe the pins on the underside before relocating it to your thermomix. For the vanilla icing pictured, I didn't use any milk, just 1 1/2 tsp of vanilla. The brilliance of this recipe is keeping everything cold enough by cooling the sugar, and by only whipping at speed 4 for such a brief time. For real butter - I would put it on the bench for the 20 minutes that the sugar is cooling and then put the whipped buttercream back into the refrigerator after mixing. Line a 12 hole muffin tin and lightly grease. Preheat oven to 190 degrees celsius. Weigh oats and sugars into TM bowl and mill for 20 seconds speed 9. Add the flour, baking powder and salt and mix for 5 seconds speed 5. Make a slight well in the centre of your TM bowl and add the 2 eggs. Mix for 4 seconds reverse speed 3. Pull the mix away from the edge of the bowl and add the banana, the citric juice and the oil. Mix for a further 12 seconds, reverse speed 3. DONE! How fast was that? 3/4 Fill muffin pans and cook for 20-25 minutes. They should rise up slightly in the middle, go golden brown and spring back to touch. Remove from pan to cooling rack as soon as cooked. ICING: Again - Rona's buttercream is my go to. 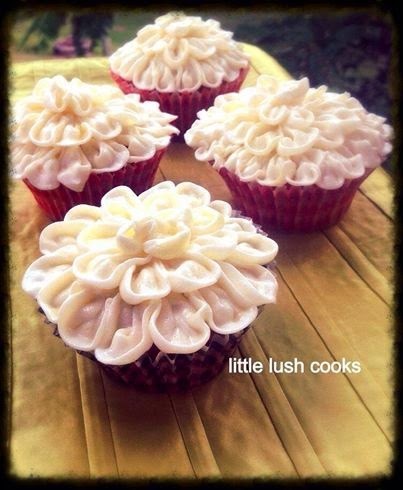 Here is how to make it a 'lemony' icing for all you FAILSAFERs missing out! When you mill the 250g icing sugar for 1 minute, add 1 tsp of citric acid. Cool in the fridge for 20 minutes. Instead of milk, just add 1 tsp of water. 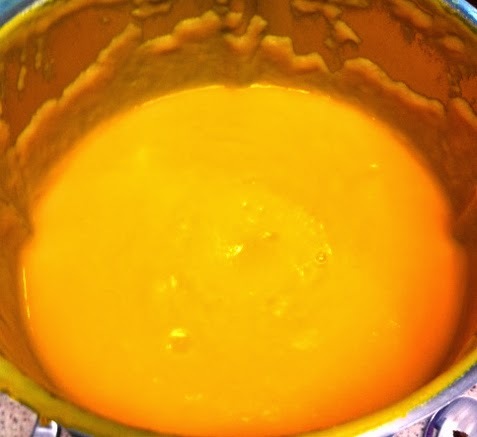 Hello everyone, Tonight I cooked some creamy basic pumpkin soup. It was also safe for my brother to eat. I love cooking, because I like making food that tastes good and pleases people. I'm not into food that looks good and tastes horrible. I needed lots of help from my sister Isabella, but my Mum only told me where the ingredients were so basically it was me who made it! My sister helped me chop the pumpkin and Sam helped with the leeks. I made some changes to the recipe because my brother is FAILSAFE, and can only tolerate moderate salicylates (thanks mum). So, instead of onions I used leeks, and instead of stock, I used some salt and garlic powder. When I'm cooking for my family, it feels as important as cooking for the famous Master chef people in the final round. When I get the recipe right then I feel like I won the car and the million dollars. When it doesn't work out the way I wanted, I just shrug my shoulders and hope it doesn't taste terrible. Next time I can improve. 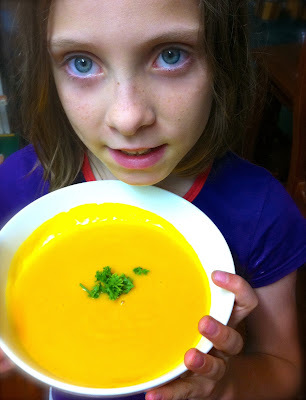 How does this soup taste - "like golden sunshine" says my big sister. Welcome to my very very exciting adventure. 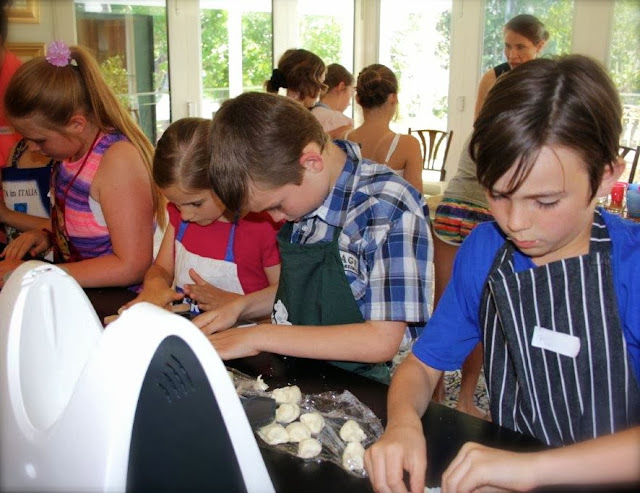 The Thermomix has awakened my passion to see children delighting in healthy food, satisfied by the challenge of a creative dish and learning the joy of cooking food for others in a thoughtful way. 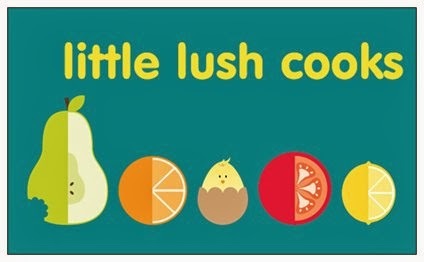 Enter the little lush cooks classes! Children need to understand simple ingredients, the wonder of fresh produce plus learning a number of cooking techniques. There are numerous benefits to children's maths, language, fine motor skills and their confidence from becoming involved in cooking. Research demonstrates an alarming decline in food preparation skills and the loss of the benefits I just mentioned. We can change that in a fun way! Most importantly, involving kids with cooking is shown to have significant health benefits, including an increased desire to choose healthy food over fast food. However, my favourite reason for classes is the excitement of the children themselves. "I am an awesome cook" was the wonderful pronouncement of a little cook after our first class! My fun with food started very young under the encouragement of a mumma that always had home-cooked meals for us, and had superhuman tolerance of kids messing in the kitchen. Many school holidays she would allow me to turn the house into a cafe for the day - and so probably turned the kitchen into a Jackson Pollock tribute. In every season of life, there has been someone encouraging me to explore new aspects of cooking adventures and flavour discoveries. And there has always been someone it has been especially delightful to spoil with good food! A little about myself professionally, (if you are wondering who will be teaching your children); I am a physiotherapist and childbirth educator of more than 15 years. Most importantly, I am a thankful mother of four and a blue card holder who loves seeing children grow through satisfying challenges. I still get a thrill every time when I see children's pride in their cooking achievement and enjoyment in serving others. I am acutely aware of the connection between the body's arousal state and ability to concentrate (hence a little pilates break during the class). Both students and teachers are always learning. These cooking classes are specially designed to maximise your child's understanding of flavour combinations, textures, the art of beautiful food and the delight of cooking for others. And of course, train children to understand health and safety in the kitchen! 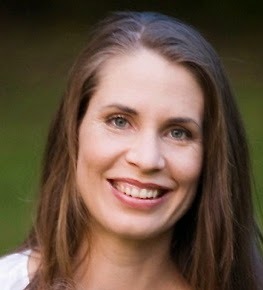 The classes run for two and a half hours at my home in TOOWONG Brisbane with a short Pilates break to refresh bodies. The classes are intimate with only 8 places. "Appreciating how preparing healthy food can be fun and tasty." 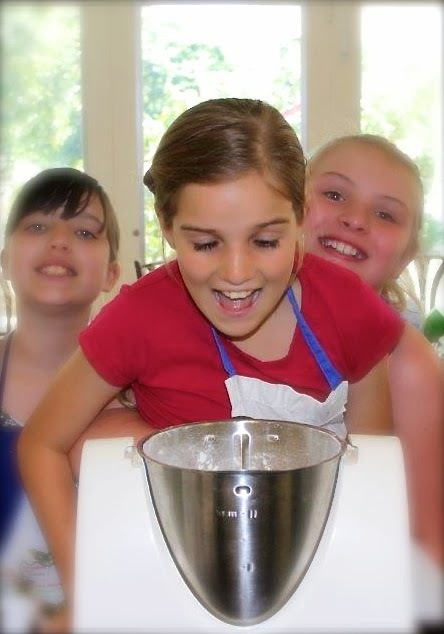 From Be a Fun Mum's daughter: "Learning how to use the Thermomix properly". "Learning to use the Thermomix and discovering new recipes that are healthy and delicious". "It was great to see the child-centred approach you took, involving and explaining to the kids the whole way. I loved Liz's 'extra' explanations, about the chemistry of food, this was wonderful! " "The supervised hands on experience"
"Trying new things and because they make them, they eat the result". "Their increased confidence and knowledge of cooking"
Would you like to enquire about booking your child into a class? Please contact me and I will let you know the next class details or provide any information you need. A note about pricing: These specialised classes are only $60 for two and half hours. I used to wonder why specialty cooking classes were so expensive (especially when I can cater for a crowd at $10 per head) Simply, there are an enormous number of hours (and details) that go into cooking classes, however we hope to make them accessible for as many parents as possible. For those who cannot afford classes, we suggest you make your own! Choose recipes that you and your child(ren) want to explore and your children will thank you for the focused time with them. It works best if you pre-prepare as many ingredients as possible. I hope to inspire your budding cook one day! With love from all the little lush cooks. Given that my first response to the Thermomix (based on a picture and the price tag) was 'That's immoral", there's going to be an interesting story to my decision to start selling them!! And a curious journey it has been. Some things have been expected (like trying to swallow massive slabs of humble pie) and many other things have been unexpected, like opening new doors, discovering my passions and growing me in areas that needed to be pruned. The key to the story was my mother in law, who had seen it in action and thought this would be a life changer for us. An enormous gift she thought would be a wonderful change she could make in our lives. I was pityingly sceptical and (barely politely) turned down the offer. After 5 months, some arm bending, and an interstate visit from my in-laws, we had a lovely and straightforward woman (Julie Ann Allen) come and put us through the Thermomix paces. Not before I had given her some scornful "no thanks, I don't do party plans". I had hated feeling pressured to buy over-priced items that I could live without and didn't want to put my friends through any such experience. I was suspicious but relieved when I found out about the straightforward structure of the demonstration. That soon gave way to excitement and amazement. My husband and I could see this would be a worthwhile investment, and thanked my kind parents-in-law and decided to pay half ourselves. It wasn't a stupid move. That half we paid was re-paid in grocery savings in 9 months, and I was keen to see people I loved helped like I had been. I had been given fun and time back in the kitchen. My physiotherapy work was proving a little tricky to dovetail around my husband's commitments and the family needs, and my sister in law had turned my world up-side down by starting with Thermomix and having a ball, so I took the plunge and committed to do what I had criticised others for doing; started a direct selling business. (My sister-in-law and I are pictured above when I had just qualified). Part of me still cringes at the phrase because of the connotations it brings up, including my rudeness. My first three months I kept looking for the 'evil' in the business. I was waiting for the 'ah-ha, I was duped, they are all monsters'. Instead, I got work. Hard work. Loads of training, support, some wins and losses, encouraging managers and group leaders and lots and lots of fun, creative people. The support has been amazing. My group leader has been generous, my branch managers incredibly encouraging. I have had a very fun team to play with and create yummy food. Much of the last eighteen months has mostly been about meeting gorgeous folks I would have never had the chance to get to know and reconnecting with family. Some I still regularly pray for as I have discovered the struggles in their lives. I hope that the Thermomix would be some practical help as it has been for me. I have made some life changing cyber acquaintances as well, as the indomitable Leonie of ThermoFun and I discovered a shared passion for perfect recipes and life's hard twists and turns. It's also been about having my preconceptions challenged. I have come to discover a whole world of brave folks setting up direct selling businesses of great products in order to work around family needs. I now own a lot of Norwex and some Mary Kay, and find them well worth their price tag! It's been about extreme time management as I have tried to juggle ongoing therapy needs for my fourth child, some learning challenges for my first, lots of involvement in our church and college community and my husband's many commitments. I am much better at working out how to make things all fit, and also, know when there is just too much to fit. The Thermomix experience has definitely opened doors for me. The small business training has been very good with an excellent focus on customer care. Information that my physiotherapy degree sorely lacked. On the horizon for me are small business opportunities that I would have never had the courage or knowledge to take, but have now I'm looking forward to. And that's because it has helped me realise my passions. Like seeing children confident and excited about the healthy food they can prepare! However, more than anything else, the "Thermomix Consultant journey" has been about some much needed growth. And not just my 'direct selling' generalisations and rudeness. I was quickly shocked by how vulnerable I felt at presentations. I was used to instant respect and desire for my services as a physiotherapist. It was a scary feeling to be 'needing' people's business and starting skills training all over again. I had to face up to my pride and my judgementalism and decide that if I knew how good the Thermomix was, it didn't matter what other people were possibly saying or thinking, I just needed to get on with providing an excellent and helpful service. And the growth has been ongoing as I have faced tricky situations that brought out my fearfulness and had professionalism and generosity modelled to me by my group leader. And I have to stop and say what an incredible support my group leader, Fleur Cole, has been. Riding the waves with me as I tried to fit everything in, she has been generous every step of the way. Over 12 months, I realised that I needed more than 20 hours per week to make my Thermomix business really effective, and just for this season, I can only invest 4-8 hours per week in work. Seeing this, my group leader has opened doors for me as a Thermomix Ambassador to continue sharing my passion for helping others cook well and enjoy their Thermomix, at a pace that suits my family. I look forward to continuing to develop recipes for those on the FAILSAFE diet (and hopefully a cookbook), and inspiring many. So that's it. No bogey men. Just lots of support, learning and precious people. I'm very thankful for it all! You know - sometimes you just want to have fun...and play with flavours that get the salivation really rolling. A little bit with grilled fish, or BBQ'd lamb, or my Thai steamed fish. Go on, you know you want to! TOAST 5 minutes 100 degrees speed 1. They won’t be perfect powder – don’t worry. Add 50g sugar and 50g water and cook for 5 minutes, 100 degrees, speed 2. Blitz for 10 seconds speed 6, repeat if necessary to form a coarse paste. Welcome to the blog of Mummy (Liz) and Me (Sophia and siblings) showing how many things I can cook with a Thermomix. Mum is learning how much fun kids can have in the kitchen and I am enjoying making extra yummy and creative food. I am glad mum is helping me in the kitchen.